What Is Business Intelligence and Why Is It Important? The current digital age has transformed the way that things work across the board. But there is perhaps nowhere that it has made more of a difference than in the world of business. We now have tools that allow us to know more about our customers and business than ever before. Of course, that’s if you know where to find them. The data is out there, as are the tools needed to access it, you just have to learn how to take advantage. In particular, business intelligence is key to an effective modern business strategy. So, what is business intelligence and why should you care about it? The most common business intelligence definition is the strategies and technologies used by companies to analyze data and business information. In more simple terms, it allows businesses to have access to information vital to succeed in multiple areas—whether it’s sales, marketing, finance, or any other division. This business intelligence definition captures the key factor in doing this: technology. The right business intelligence (BI) solutions will empower your organization with more actionable data, providing greater insights and facilitating more strategic decision making. HR is empowered with the ability to track employee productivity with performance scores, tools for tracking compensation and payroll, as well as analysis of employee satisfaction. Learn more about HR BI dashboards here. BI tools can help not only track budgets, but give visual insights into financial data, potential problem areas, and overall business health. Learn more about financial BI dashboards here. BI can help improve sales performance drastically through visualizing the sales cycle, displaying conversion and churn rates, tracking the pipeline, total revenue, and more. 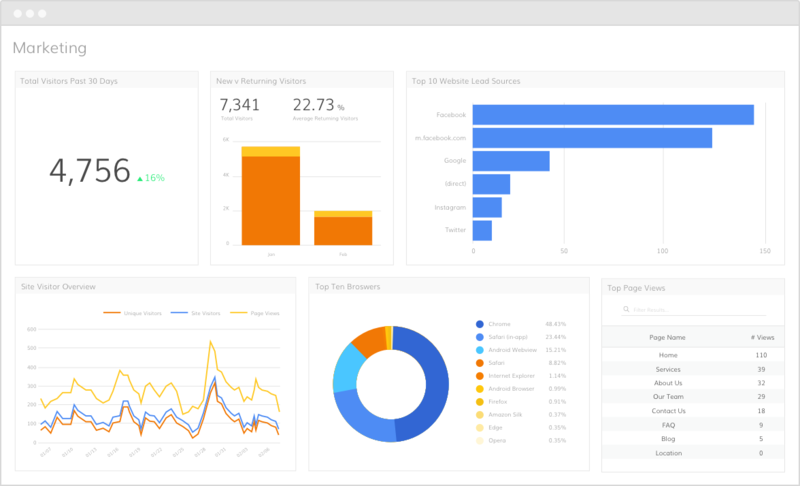 Learn more about sales BI dashboards here. 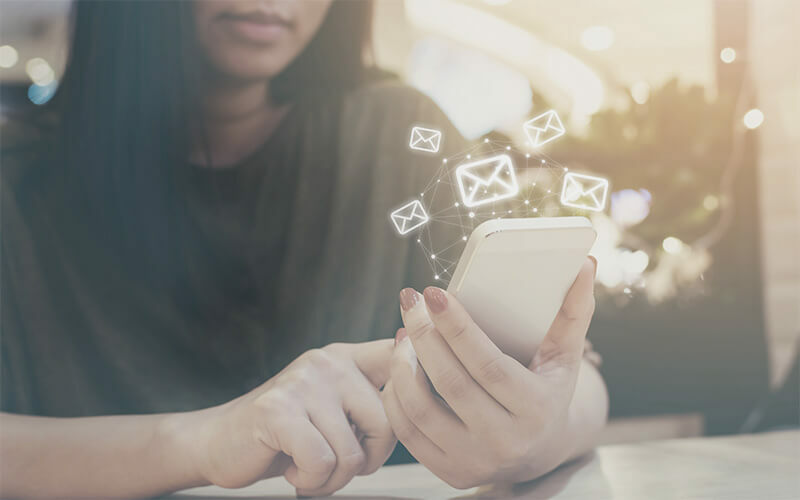 View all marketing campaigns in one place so you can track engagement and performance, as well as trends, cost per lead, website traffic, and analytics. 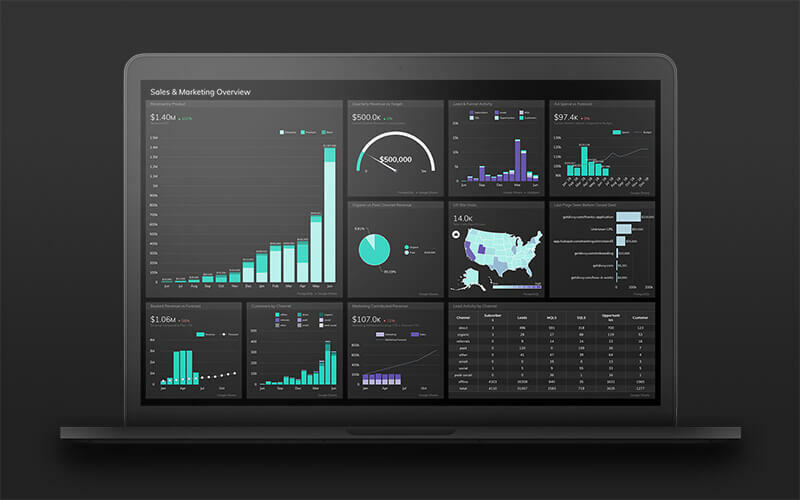 Learn more about marketing BI dashboards here. WHY DOES BUSINESS INTELLIGENCE MATTER? Now you know what business intelligence means—and what it can do—but why should you care? As mentioned, the reporting tools alone make business intelligence an invaluable tool in the modern business landscape. Though not everyone is taking advantage of business intelligence yet, doing so can put you ahead of your competitors, and conversely, failing to do so could leave you struggling to catch up. What’s more, the world is producing more data than ever before—it is thought that more data was created in 2017 than in the previous 5,000 years of humanity. For a business, this is great news. The data is ripe for the picking, and accessing it not only improves results, but it provides a better experience for customers and ultimately allows you to craft a better, more relevant product. So how do you access this information? There are a plethora of business intelligence tools now available that can help you to track relevant metrics. These have evolved from more old school methods like a simple spreadsheet, to more advanced solutions. And while a spreadsheet will do the job adequately, your use of data does not achieve its full potential without a more sophisticated BI tool. A BI solution like Grow will eliminate the need to manually gather, record, and organize your data. It will do everything for you: tracking and reporting relevant metrics; interpreting data in a more visual, easy-to-understand way; and collecting everything in a sleek dashboard. We are swimming in a sea of data. But only those with the tools to properly access and act on that data will be able to fully take advantage and see the benefits to their business. Those who do however, will be able to increase productivity, stay competitive, and enable the entire company to make faster, smarter decisions with the data collected. To learn more about how you can start doing that right now and how BI can help your business, request a demo now.